Under the Federal Government’s Smart Cities Plan, the $50 million Smart Cities and Suburbs Program was announced over a year ago and the first round of grant winners have been confirmed, with over $28.5 million allocated to 52 projects across the nation. Which begs the question… What does it take to truly create a smart city? Where must cities focus their efforts to provide a decent quality of life for citizens? 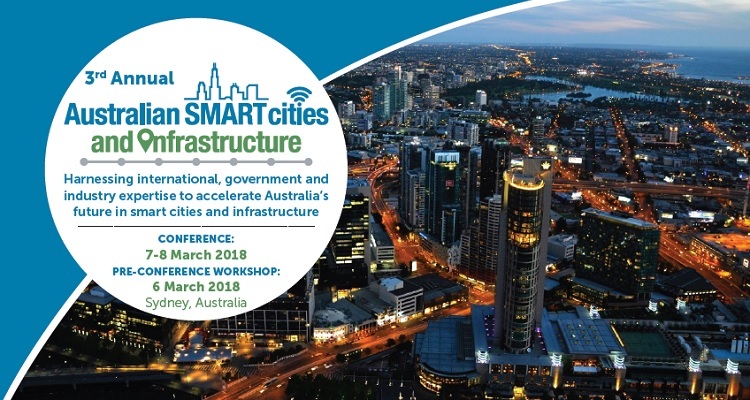 Three of the major winners from the grant Newcastle City Council, Launceston City Council, and City of Joondalup will be speaking at the 3rd Annual Australian Smart Cities and Infrastructure Summit happening on 7-8 March 2018. At the event, these innovative cities will case study their smart city strategies and share how they utilise smart city solutions to build sustainable and inclusive communities. The event also looks internationally for best practices at cities which have been consistently voted as among the smartest cities in the world. The City of Boston has been ranked the fourth smartest city in 2017 according to Forbes. What makes them smart? What worked and what did not? The co-chair of the Mayor’s Office of New Urban Mechanics will answer these questions and share Boston’s innovation journey and how it can be applied in Australia. This event is unlike any other smart cities event – the programme offers a solution to all the key issues a city faces, from efficient buildings to deploying smart lighting, to access to clean energy and safe and efficient mobility. Tickets are on sale now, book now to get the best seats in the house. Visit http://elm.aventedge.com/asci-reg-parkingaus to reserve your seat or visit http://elm.aventedge.com/asci-home-parkingaus for more information. Quote PARKING-10 when registering to save 10% off the standard ticket price.